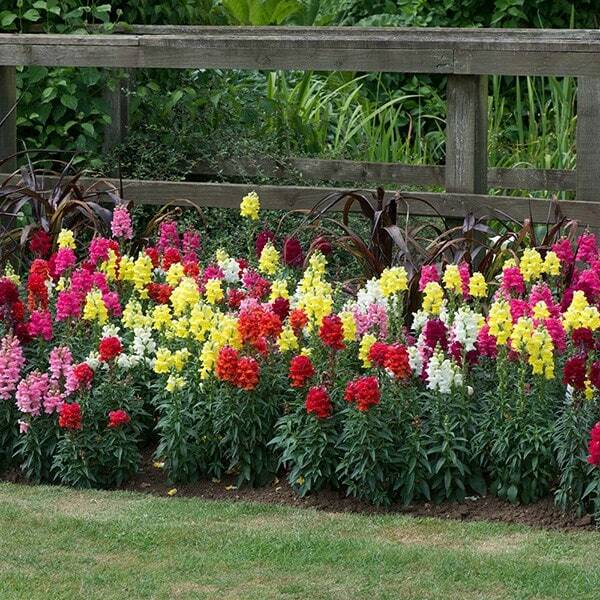 Buy Antirrhinum 'Sonnet Mixed' 40 plus 20 FREE large plug plants: Bushy and free flowering. Vibrant, brightly coloured upright flower spikes will put on an impressive display, while the sturdy stems help maintain the display - even in poor weather conditions. Bushy and free flowering, these snapdragons will continue flowering throughout the summer if deadheaded regularly.